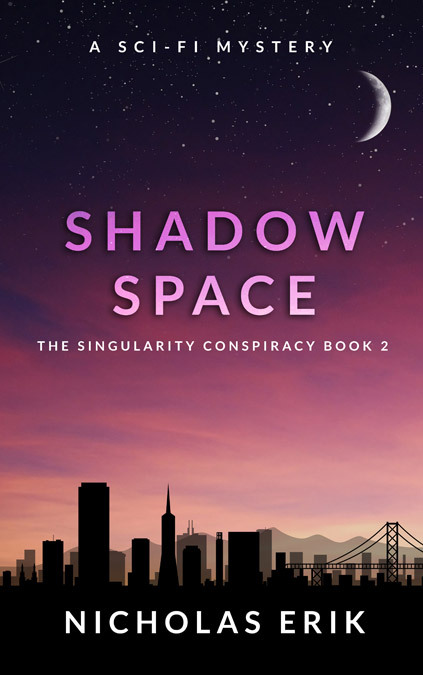 Beetiful designed the book cover for Shadow Space, the second book in the Singularity Conspiracy trilogy by Nicholas Erik. 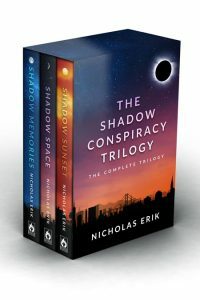 Find out more about Nicholas and his books from the Nicholas Erik website. 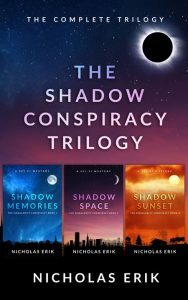 Beetiful also designed the book covers for the other two books in the series, Shadow Memories and Shadow Sunset, and the omnibus edition, The Singularity Conspiracy Omnibus. 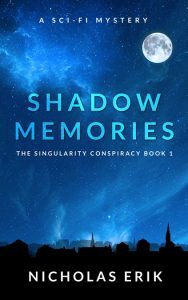 Two months after the events of Shadow Memories, private investigators Cassie Atwood and Kurt Desmond have spiraled into the abyss. Business is slow. Their relationship is in tatters. 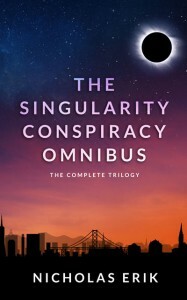 Then again, that’s all pretty normal. 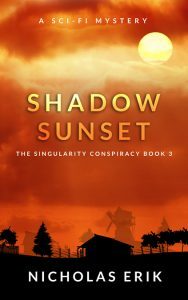 Everything might be falling apart, but at least the Singularity haven’t shown up again. 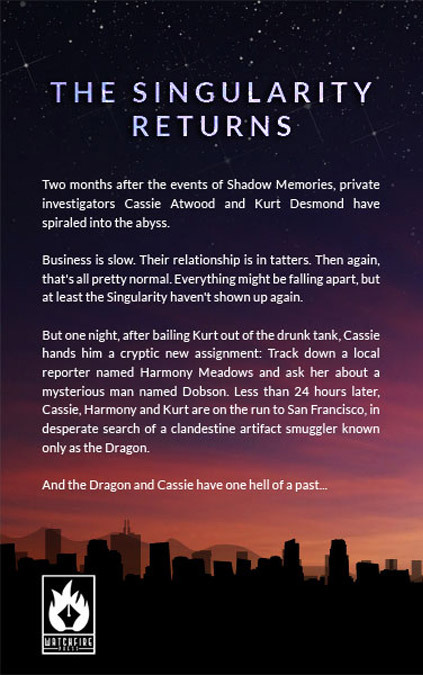 But one night, after bailing Kurt out of the drunk tank, Cassie hands him a cryptic new assignment: Track down a local reporter named Harmony Meadows and ask her about a mysterious man named Dobson. 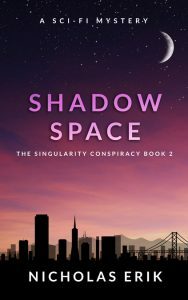 Less than 24 hours later, Cassie, Harmony and Kurt are on the run to San Francisco, in desperate search of a clandestine artifact smuggler known only as the Dragon. 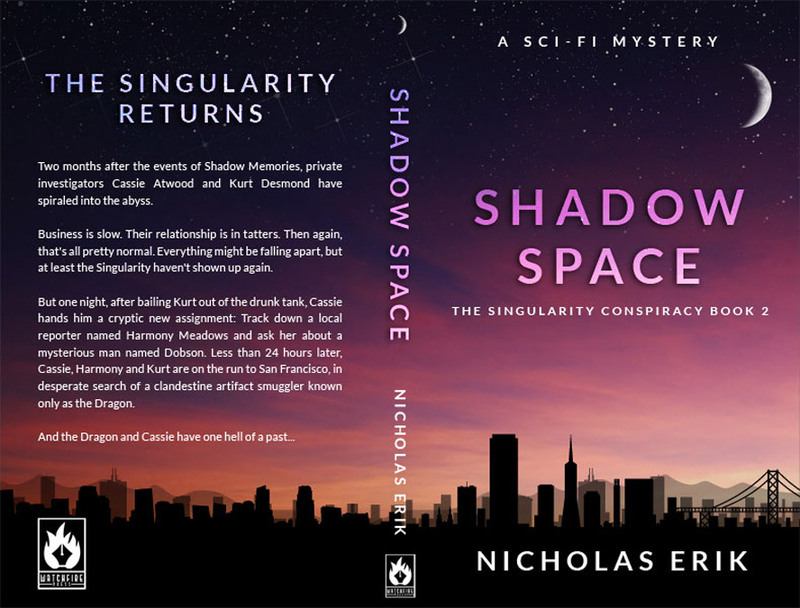 Get Shadow Space by Nicholas Erik today!